In this day and age, sustainable dining is not just about recreation and livelihood, but an absolute necessity. The demand for food and beverage establishments to self-regulate when it comes to production and waste management is too striking to ignore. That why-don’t-you-keep-a-metal-straw-in-your-bag sermon you get from your friends? We’re pretty sure that’s here to stay. Going Plastic-Free? Here's Where You Can Buy Your Eco-Friendly Essentials! Here are some local products that will bring you closer to a zero-waste lifestyle! Diners lobby hard for eco-friendly efforts and want to contribute to that change—an obvious sign of the times that restaurants have quickly picked up on. We rounded up a few dining-out establishments that are taking small but meaningful steps to continue practicing their businesses with lower environmental impacts. Call all your plastic-refusing friends for your next lunch or dinner out! Looking for a hole-in-the-wall, day drinker-friendly, comfort food joint that has no short supply of metal straws for Mezcal-based coolers? Bingo. La Chinesca just gets us—it’s always the little things that count. Watch out for their soon-to-open store in Rockwell’s The Grid! Headed by chef Robby Goco, this farm-to-table dining spot is all about carefully-sourced local produce. Everything that is used in their dishes, from the greens, to the meats, to the cheeses, are all sourced from Philippine farms. Because the menu is based primarily on whatever is in season, it changes from time to time—a nod to taking cues from Filipino suppliers and their respective harvests. Beachy island vacation vibes? Check. Affordable drinks? You bet. Reusable bamboo straws? Take my money! The Island in BGC is the perfect hang out for party goers who can’t fit reusable straws into their pockets or purses. Could you think of a better place to quench all that Friday night thirst? 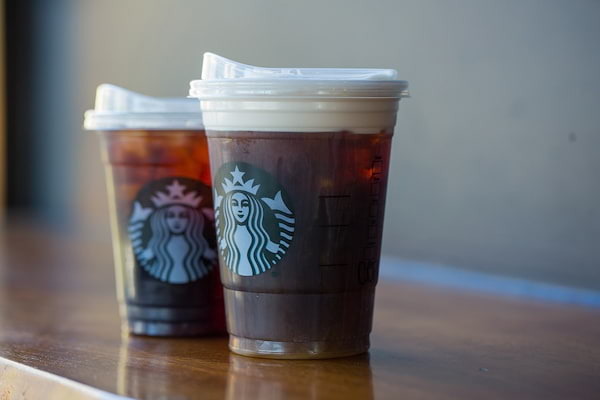 As a go-to pit stop for sleep-deprived yuppies, Starbucks slings out countless take-out plastic cups of coffee every day. Their recent announcement to become straw-less within the next few years also came with an introduction to their new cold drink packaging product design: biodegradable, recyclable sippy cup tops. An excellent step in the right direction, don’t you think? 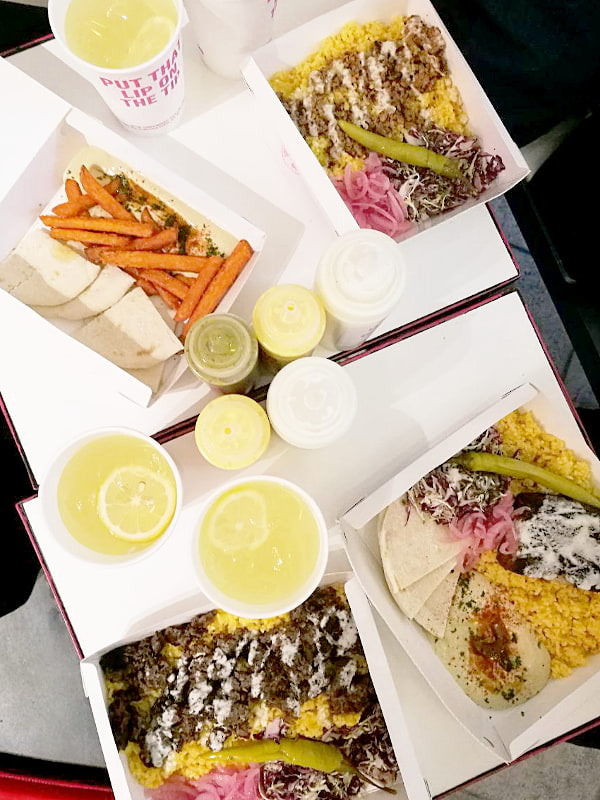 The Eastern Mediterranean food stall Shawa Wama introduced itself as a carry-out and on-the-go brand earlier this year, but not without sensible acknowledgment to its role in waste management. Biodegradable starch utensils and paper packaging are the norm here, and the requisite plastic cup covers for take-out customers are available only upon request. This well-loved tea establishment goes completely straw-less on Fridays. 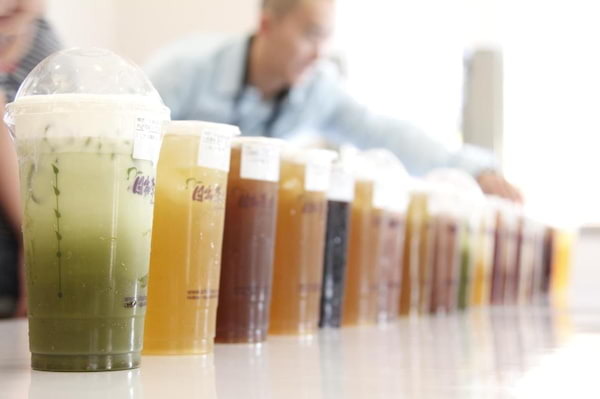 We purposely included Cha Time on this list because we don’t want you to become the person who orders a milk tea drink with tapioca pearls, only to be unable to sip said tapioca pearls. Looking for a milk tea-friendly reusable straw? Click here to shop for a complete set. Did you know that Coco Mama also has a pop-up at Flotsam & Jetsam Hostel in Surftown, La Union? You can still have your favorite coconut ice cream by the beach! 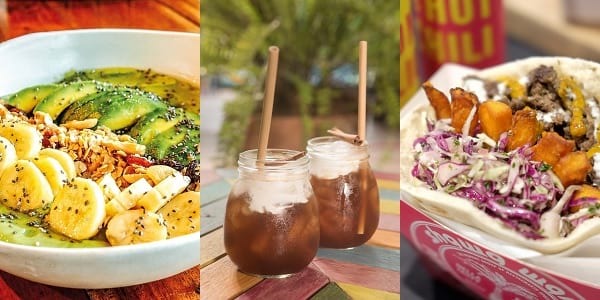 The closure of Boracay has led this little food business (and its respective sister food brands) to Manila for pop-up stalls in the Salcedo Saturday Market, Hole In The Wall in Century City Mall, and the Flotsam and Jetsam Hostel in La Union. What’s not to love about coconut milk-based ice cream, yellow mangoes, sticky rice, pinipig, and freshly-shaved buko sitting in a repurposed coconut shell? Check out these spots that might just encourage you to go green on your next vacation!